The Kremlin-controlled Razdolnensky District Court in the occupied Crimea extended the measure of restraint to Ukrainian political prisoner Volodymyr Balukh, the public association Crimean Solidarity reported on Facebook. Balukh’s defence asked to change the measure of restraint for house arrest. “The court extended the arrest until August 18, 2018. The court session will be held June 22 at 15:00,” the report said. Reportedly, Volodymyr Balukh became ill in the building of the "court", an ambulance was called for the political prisoner. Earlier, the Ukrainian Foreign Ministry noted a significant deterioration in the health of Volodymyr Balukh, who is unlawfully kept by the invaders in the Crimea. Reference: Balukh declared an indefinite hunger strike, protesting against the verdict of the court, which sentenced him to 3 years and 7 months of imprisonment for a civil position. 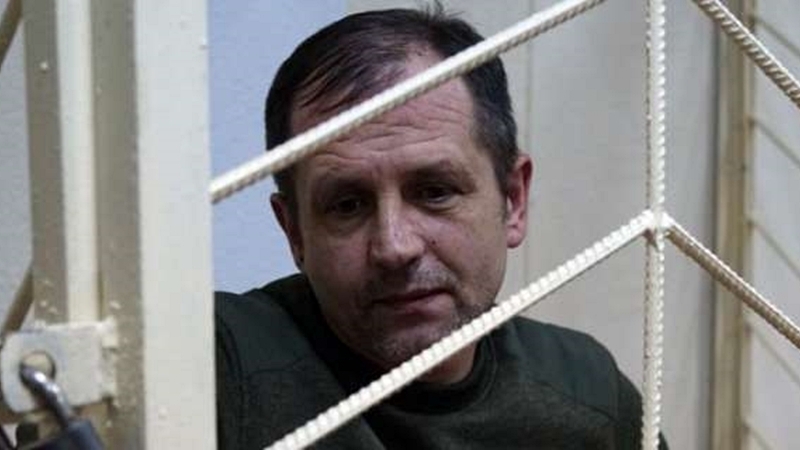 Volodymyr Balukh will serve time in the colony-settlement. The Ukrainian activist was taken into custody in the courthouse.